In this review, Formaldehyde (FA) and its harmful effects were mentioned and additionally roles of Melatonin hormone (M) and Nigella Sativa (NS) were emphasized. Formaldehyde is a critical compound for the formation of proteins, DNA and RNA. It is present in all organic forms of life, in trees, fruits, vegetables, fish, plants, and animals and human. FA is mostly in its gaseous form in the environment and is produced from new construction/furniture products and consumer goods, as well as oxidation of organic matters or fuel burning in the daily traffic. Due to widespread use in so many products, FA is inevitably found in the domestic air in living places, especially in workplaces. Formaldehyde also has a broad range of applications in medical industry. FA is associated with nasal or nasopharyngeal cancers. IARC concluded that there is sufficient epidemiological evidence that formaldehyde causes nasopharyngeal cancer in humans. In both 12th and 14th report on carcinogens from NTP, formaldehyde was stated as “known to be a human carcinogen”. After mentioning the harmful effects of FA, it was emphasized that antioxidants M and NS ameliorated the harmful effects of FA in rats. In many mammals, the pineal gland plays a role in the secretion of melatonin in the circadian rhythm of the hypothalamo-pituitary-gonadal axis. When animals and tissues are exposed to lipid peroxidation, melatonin has a significant protective effect against the oxidative damage of lipids. Experimental studies have shown that; exposure to FA reduced behavioral sensitivity and reduced food intake and water consumption. At the same time there was a significant drowsiness and reduction in motor activity. In the prefrontal cortex of rats, SOD and GSH-Px activities were significantly reduced and FA induced the lipid peroxidation of the prefrontal cortex and hence led oxidative damage. In conclusion, FA was found to cause lipid peroxidation and, consequently oxidative damage in the prefrontal cortex. It was estimated by OSHA that approximately 1.9 million workers were exposed to formaldehyde at concentrations of 0.1 and 0.5 ppm, 123,000 workers at 0.5 to 0.75 ppm, and 84,000 workers at 0.75 to 1 ppm. All these data have shown that, it is necessary to benefit from antioxidant substances that will reduce the harmful effects of formaldehyde, which may not be completely avoided. Within this compilation, we have already emphasized Melatonin and Nigella sativa. Further research is essential to delineate physiological responses of these antioxidants before widespread use in humans can be promoted. Well defined clinical trials are also required to determine the form, dosage, route of application of Melatonin and Nigella Sativa to grasp their long term beneficial effects on certain disorders. Advancement in industry and technology leads discoveries of novel methods to preserve things for longer time periods and products which are more useful and durable in order to make our lives better. Though, some widely used substances may have deleterious effects on human health. Formaldehyde (FA) is an organic compound which occurs naturally, the simplest and most commercially important aldehyde. Since its first being reported in 1859 and conclusive identification in 1869, it has been extensively used in many sectors throughout the world. Its total production exceeded 50 million tons in 2017 of which China was the leader producing more than 50%, followed by USA, Russia and Germany. Formaldehyde is utilized in the production of urea-, phenol- and melamine-formaldehyde resins which are also used mainly in construction, automotive, aircraft, textile and health sectors [1-3]. FA is an intermediate product which is later utilized mainly in the production of adhesives. It is also used as a preservative in medical laboratories, mortuaries and some consumer products. Exposure to FA can occur in numerous industries and professions, but the highest levels are found in work settings where FA is produced or used . A current search in Pubmed Central revealed more than 163.300 articles on formaldehyde (Table and Graph 1). Vast majority of these articles are on the use of FA and its possible malicious effects on human health which shows that the debate is ongoing. Regulation changes are on the way both in the US and EU countries related with the use of FA in various industrial fields while defining the standards of FA presence in products as well as in the air. The standards are essential in order to sustain a healthy environment both for workers and consumers. Formaldehyde is a member of the aldehyde family with formula HCHO and IUPAC name as “metanal”. At room temperature, FA is a colorless, flammable, strong-smelling and irritating gas with suffocating odor [1,2,4-6]. Commercial FA is mostly available in liquid state as 30% to 50% aqueous solutions of the hydrated form, which is commonly referred to as formalin. Formalin contains up to 15% methanol as a stabilizer and FA in solution oxidizes slowly to form formic acid if it does not contain a stabilizer. Since FA may also polymerize to form paraformaldehyde, it can also exist in solid form as paraformaldehyde and 1,3,5-trioxane . In our environment, FA is found in its gaseous form and is emitted by off gasing from new construction/furnishing products and consumer goods as well as from the oxidation or incomplete combustion of organic materials and fuel combustion from regular daily traffic. Its half life is almost an hour in the nature. Therefore, it is quickly broken down under sunlight [1,2,5-8]. Formaldehyde is also present in human body, absorbed rapidly through the mucous membranes after inhalation and oral exposure. It is poorly absorbed via the skin. After inhalation, it is decomposed in the mucosa to form a toxic substance (formic acid). When FA reaches intracellular medium, it quickly forms covalent bonds with intracellular DNA, RNA and protein pools through several metabolic pathways, and all of these changes are responsible for the toxic effects of FA. Should inhaled FA directly forms binding reaction in nasal mucosa without metabolic breakdown, it leads irreversible binding and results in necrosis, allergy, and mutagenicity in living organisms which is accused of causing nasopharyngeal carcinoma [9,10]. Formaldehyde also has a natural endogenous source and is an essential metabolic intermediate in all cells for the biosynthesis of purines, thymidine and some amino acids . Usual FA concentration in blood of humans, monkeys and rats is similar (2-3 mg/l). The half-life of FA in plasma of rats and monkeys is about 1-1.5 minutes [2,12]. Similarly, its half life in human body is almost one minute and thankfully it is decomposed very rapidly in liver and erythrocytes and discharged from the body through exhalation, urine, and feces. Many enzymes (at least seven) catalyze the oxidation of FA in animal tissues, mainly aldehyde dehydrogenase and a specific glutathione-dependent Formaldehyde Dehydrogenase (FDH) which is also known as Alcohol Dehydrogenase5 (ADH5), hence FA affects liver metabolism [13-16]. In many investigations, FA was observed to alter cerebral oxidant/antioxidant systems and lead oxidative damage. Although Reactive Oxygen Species (ROS), including singlet oxygen, superoxide anion, hydrogen peroxide, and hydroxyl radical, are essential for various regular biological processes and are formed physiologically, the excessive production and accumulation of ROS can cause hazards in cells and tissues. ROS are significant mediators of cellular injury while they play role in oxidative stress, and can trigger various diseases, or be present in media where toxicity is formed [14,17]. FA is highly soluble in water and in most organic solvents. Since it is an electrophile and highly reactive molecule, it reacts with various endogenous molecules, including glutathione, nucleic acids, RNA, DNA, proteins, folic acid, and leads formation of strong cross-links between DNA-protein and other molecules such as amino acids which causes cytotoxicity [14,18,19]. Therefore, its known carcinogenic effects are still under extensive research. Formaldehyde is a critical compound for the formation of proteins, DNA and RNA. It is present in all organic forms of life, in trees, fruits, vegetables, fish, plants, animals and humans. In our environment, FA is in gaseous form, produced by the nature, cigarette smoke, refineries, forest fires and fumes released from new home-finishing products as well as global transportation due to the incomplete combustion of organics. Airborne formaldehyde is also emitted from some consumer goods such as hair smoothing and straightening products, cleaning agents, glues and adhesives. General population is exposed to airborne FA by breathing indoor or outdoor air contaminated with FA and from tobacco smoke. FA levels can be higher in indoor air than outdoor air, especially in FA utilizing work places and newly furnished homes. Since FA is broken down rapidly by sunlight in the air and metabolic process in the body, fortunately it does not accumulate in the nature or in the body [2-5,10,20]. FA is utilized mainly as adhesives in construction/remodeling activities, in production of wood materials such as particle boards, laminates and other chemical derivatives for coatings, in automotive industry and electronic appliances, textile industry, insulating materials, foams, explosives, glues and paint resins, synthetic lubricants, thermoplastics, elastic fibers, in health as disinfectant, biocide, tissue fixative and preservative as in embalming, and in food industry as anti-microbial preservative [21-25]. Due to widespread use in so many products, FA is inevitably found in the domestic air in living places, especially in workplaces. Occupational exposure to FA is under intensive surveillance in manufacturing plants which use FA-derived resins, such as glues, paints, plastics, fabrics and insulators. Therefore, Occupational Exposure Databanks (OEDBs) are essential sources for exposure surveillance and epidemiological studies [2,26,27]. Formaldehyde also has a broad range of applications in medical industry. People working in research facilities as well as in anatomy, histology, pathology, biology laboratories frequently use FA and are exposed to its gaseous form during educational and research activities. Therefore, all exposed people employing in such settings may be at higher risk for the undesired consequences of exposure to high levels of FA [3,4,10,28,29]. Daily formaldehyde intake from occupational exposure has been estimated at up to 8 mg. Estimates of daily formaldehyde intake by six age groups of the general population in Canada were carried out to determine the relative contributions from different sources and media. These investigations and calculations demonstrate that daily formaldehyde intake via inhalation is much lower than the intake from food. However, since critical effects associated with exposure to formaldehyde are directly linked to the site of contact, inhalation and ingestion are usually considered separately [1,16]. Every and all of us are being exposed to FA through inhalation or direct contact everyday at home, in cars, at work. Susceptible subjects are more prone to be affected significantly. Considering exclusively inhalation, indoor exposure contributes up to 98% to the integrated exposure (considering time-activity patterns and daily inhalation volume) . Formaldehyde concentrations in outdoor air are typically around 1-4 µg/m3; daily exposure from outdoor air has been estimated at 0.1 mg or less. There is no federal regulation or standard existing for formaldehyde levels in residential settings . Indoor FA concentrations were investigated in many countries in homes, public buildings or kindergartens for long years and reported as 28 µg/m3 in Germany , 11 µg/m3 in Finland , 32 µg/m3 in the US , 256 µg/m3 in China , 27 µg/m3 in France , 17.4 µg/m3 in EU kindergartens . Important determinants of indoor air levels include the sources of formaldehyde emittance, the age of the source materials, temperature, humidity, and ventilation rates . Although daily formaldehyde exposure from residential indoor air in conventional homes has been reported to range from 0.5 to 2.0 mg, daily exposure in a prefabricated home was as high as 10 mg . Even though cigarette smoking is not very intense in the US, it is actually a public health problem because smoke from any cigarette contains FA . Mansfield et al.,  examined six different brands of cigarettes in the US and found that FA was present at rates of 45.2-73.1 mg in each cigarette and 5.1-8.9 mg in each puff . We generally know as a word-of-mouth that passive exposure to cigarette smoke is more detrimental than active smoking. Triebig and Zober reported as a result of their study that the level of FA in side-stream cigarette smoke was 50 times higher than its level in mainstream smoke . Supporting this finding, the National Research Council estimated in 1986 that the level of FA in side-stream cigarette smoke was 5-8 fold of its level in the mainstream smoke . Indoor concentrations of FA can reach more than 200 µg/m3 close to somebody who is smoking in a room . Daily exposure to formaldehyde was estimated at up to 2 mg from smoking 20 cigarettes per day, up to 3.5 mg from environmental tobacco smoke at home, and 2.8 mg from environmental tobacco smoke in the workplace . On the other hand, many people in the US are exposed to FA either through environmental sources such as combustion processes and tobacco smoke, or in occupational settings that include furniture, textile and construction industries . Emission of formaldehyde from many kinds of construction and furnishing materials, electronic equipment leads to indoor air pollution; from embalming fluids to workplace air pollution and from combustion of organic compounds to outdoor air pollution. That’s why the main concerns over toxicity of formaldehyde are associated with long term exposure by inhalation . The major exposure route of formaldehyde is inhalation from indoor sources. Formaldehyde is a normal component of blood. Exposure of humans to 2.5 mg/m3 formaldehyde did not increase the blood levels and exposure to 0.5 mg/m3 did not result in an increase in urinary format excretion due to rapid metabolism. Indoor exposures are the dominant contributor to personal exposures through inhalation and may be high enough to cause adverse health effects . At concentrations above 0.1 ppm in air FA irritates the eyes and mucous membranes, resulting in watery eyes. Formaldehyde also leads headache, burning sensation in the throat, difficulty in breathing, in turn can trigger or aggravate asthma symptoms, especially in susceptible individuals [45,46]. A review showed that exposure to formaldehyde is strongly correlated with development of childhood asthma . In the United States, high exposure levels were reported in formaldehyde-based resin production (mean concentrations of up to 14.2 ppm), plastic product production (up to 38.2 ppm) , embalming (up to 2.6 ppm) , biology teaching labs (up to 8.3 ppm) , and pathology autopsy laboratories (up to 4.35 ppm) . Daily formaldehyde intake from occupational exposure has been estimated at up to 8 mg .
Lavoué et al.,  utilized formaldehyde exposure data from the Occupational Safety and Health Administration (OSHA) air sampling database for various U.S. industries between 1979 and 2001, and found that the estimated relative indices of exposure based on time-weighted-average exposure data in reconstituted wood products and lumber and wood products industries were the highest. The estimated relative indices of exposure based on short-term exposure data (aggregated short-term, peak, and ceiling exposure levels) were highest in the reconstituted wood products industry and funeral services and crematories. It was estimated by OSHA that over 2 million U.S. workers were exposed to formaldehyde, about 45% of whom worked in the garment industry in the 1980s . According to OSHA data almost 1.9 million workers were exposed to formaldehyde at concentrations between 0.1 and 0.5 ppm, 123,000 at 0.5 to 0.75 ppm, and 84,000 at 0.75 to 1 ppm . A value below 0.94 mg/m3 formaldehyde was found safe against sensory irritation of the eyes for all workers . The threshold for objective sensory irritation appears to be about 1 mg/m3 for workers. On the other hand, for the indoor environment (24 hours), a value of 0.125 mg/m3 was considered safe for the entire population against sensory irritation, including chronic sensory irritation [56,57]. This value is also considered valid for children, because there is no indication that children are more susceptible to formaldehyde exposure than adults. The mentioned value is in accordance with results obtained from a recent controlled human exposure study, where no subjective sensory irritation occurred in the eyes and upper airways below 0.38 mg/m3 formaldehyde . The NOAEL approach has been used for setting health-based occupational exposure limits for formaldehyde, for example in Europe , Germany, Japan and the United States . Based on the most recent scientific research, industry supports an occupational exposure limit of: -0.3 ppm Time-Weighted Average (TWA) - 0.6 ppm Short-Term Exposure Limits (STEL) . A proposed guideline of 0.21 mg/m3 FA concentration was advised for the protection of health against long-term deleterious effects, including cancer. The guideline for short-term effects of 0.1 mg/m3 for 30-minute mean FA concentration is much useful and also prevents long-term undesired effects . The organ systems usually affected by FA include the eyes, upper and lower respiratory tract, skin and central nervous system. Irritation of the eyes results in a burning sensation, lacrimation, and conjunctivitis . It has been emphasized that numerous epidemiological studies have evaluated the relationship between exposure to formaldehyde and cancer risk, i.e. cohort and nested case-control studies of industrial workers, professional groups such as pathologists, funeral directors, or embalmers, and population-based studies. The most informative occupation-based studies are the National Cancer Institute (NCI) cohort of over 25,000 men and women who worked at working places that used or produced formaldehyde [60-62] and the lymphohematopoietic cancer in embalmers . Occupational exposure to formaldehyde has also been evaluated in two other large studies of National Institute for Occupational Safety and Health (NIOSH) cohort study of over 11,000 male and female garment workers , and British cohort study of over 14,000 male chemical workers . Formaldehyde is classified by IARC as “carcinogenic to humans” . In addition to sufficient evidence in experimental animals for upper airway carcinogenicity, IARC concluded that there is sufficient epidemiological evidence that formaldehyde causes nasopharyngeal cancer in humans. This was based on results from the U.S. National Cancer Institute (NCI) cohort and supported by the primarily positive findings in other studies. Formaldehyde is concluded to be genotoxic in multiple in vitro models and in exposed humans and laboratory animals [2,59]. In medical settings, FA is commonly used in anatomy, histology, pathology and genetics laboratories. Acute FA exposure mainly produces mucosal irritation of the eye and upper respiratory tract in human. Further studies in humans showed increased DNA-protein cross-links (DPX) in workers exposed to formaldehyde, and genotoxicity as well as cytotoxicity are considered to play important roles in the carcinogenesis of formaldehyde in nasal tissues [2,5] where cell proliferation due to cytotoxicity is considered a key element in the development of airway cancer [59,66]. The toxicity involved chromosome damage, oxidative stress, modified proteins and cellular apoptosis . The gaseous form of FA, at concentrations greater than 6 ppm, causes injuries and cellular denaturation in the nasal mucosa. For this reason, FA concentrations of 6 ppm or greater was accepted as the cytotoxic concentration for nasal mucosa and may induce carcinoma primarily in the nasal mucosa of rats . Moreover, drastic injury to the cornea and eye tissue was noticed when examined using direct contact with 37% FA in rabbit eyes . In the study by Salem et al., rats were exposed to FA inhalation 2 h/day, 5 days/week for two weeks. Examination of corneal section showed disorganisation, erosion, vacuolation and necrosis of epithelial cells with loss of some parts of epithelial layer and edema of its cells. Absence of the Bowman’s membrane, invasion of large congested blood vessels were noted with separation and disorganisation of stromal fibrils . FA was also observed to affect cerebral oxidant/antioxidant systems and cause oxidative damage. Although Reactive Oxygen Species (ROS), including singlet oxygen, hydrogen peroxide, superoxide anion, and hydroxyl radical, are essential for many normal biological processes and are produced physiologically, the excessive production and accumulation of ROS can become hazardous to cells and tissues [14,71,72]. ROS are important mediators of cellular injury, play a role in oxidative stress, and can contribute to a variety of diseases, or be present in situations where toxicity is produced . Based on the research results in animals as well as cohort and case-control studies in humans, the 12th edition of the National Toxicology Program (NTP) Report on Carcinogens (RoC) in June 2011 changed the listing status of formaldehyde from “reasonably anticipated to be a human carcinogen” to “known to be a human carcinogen” . National Academy of Sciences published a report from National Research Council (NRC) in August 2014 on “A review of the formaldehyde assessment in the National Toxicology Program 12th Report on Carcinogens (RoC) “and also upheld the listing of formaldehyde as “known to be a human carcinogen”. The committee that wrote the report found that the listing was supported by sufficient evidence from human studies that indicated a causal relationship between exposure to the chemical and at least one type of human cancer. For instance, studies on workers exposed to high levels of formaldehyde, such as industrial workers and embalmers, found that formaldehyde causes myeloid leukemia, and rare cancers including sinonasal and nasopharyngeal cancer in humans. The mechanisms by which formaldehyde causes cancer are not completely understood; however, formaldehyde clearly causes genetic damage in the nasal sinus of animals. Less is known about how it causes myeloid leukemia [10,43]. On the contrary to these studies and conclusions, there were other studies which reported that no excess nasopharyngeal cancer was observed at mean exposure levels at or below 1.25 mg/m3 and with peak exposures below 5 mg/m3 in humans . After evaluating all data and conducting both a peer review of the RoC and an independent assessment of the formaldehyde literature, the Committee of NRC reached the same conclusion . New EU classification for formaldehyde in 2014: An association between FA exposure and carcinogenicity has been studied globally for decades. New classification in European Union entered into effect in June 2014 and following conclusions were reached: Carcinogenicity, category 1B (“suspected of causing” to “presumed human carcinogen”); Mutagenicity, germ cell mutagen category 2 following the extensive work of EU REACH (Registration, Evaluation, Authorization, and restriction of Chemical substances) committee . Even though FA is reported as “known to be human carcinogen”, concentration, intensity, duration of exposure and other factors are also very important contributors in the development of harmful effects. Therefore, further investigations and regulation updates are continuously on the way. Supporting this, U.S. Department of Health and Human Services released the 14th Report on Carcinogens on November 3, 2016 and there has been no change in the known carcinogenic status of FA . Antioxidants are exogenous or endogenous molecules that mitigate any form of oxidative/nitrosative stress or its consequences. They may act from directly scavenging free radicals to inducing antioxidative defense. An antioxidant substance is present in the cell at low concentrations and significantly reduces or prevents oxidation of the oxidizable substrate. Humans have developed highly complex antioxidant systems (enzymatic and non-enzymatic), which work synergistically, and together with each other to protect the cells and organ systems of the body against free radical damage . Antioxidant deficiencies can develop as a result of decreased antioxidant intake, synthesis of endogenous enzymes or increased antioxidant utilization. Antioxidant supplementation has become an increasingly popular practice to maintain optimal body function. However, antioxidants exhibit pro-oxidant activity depending on the specific set of conditions. Of particular importance are their dosage and redox conditions in the cell . The most important free radicals in many disease states are oxygen derivatives, particularly superoxide anion (the main source of hydrogen peroxide in vivo) and the hydroxyl radical . It is stated that oxidative stress is a “privilege” of aerobic organisms. It is consisted of endogenous and exogenous factors. Most frequently, it is described by the production of ROS/RNS. On the other hand, oxidative stress is also a deleterious process which can be an important mediator of damage to cell structures, including lipids and membranes, proteins and DNA . The formation of ROS is prevented by an antioxidant system: Low molecular mass antioxidants (ascorbic acid, glutathione, tocopherols), enzymes regenerating the reduced forms of antioxidants, and ROS-interacting enzymes such as SOD, peroxidases and catalases. In plant tissues many phenolic compounds (in addition to tocopherols) are potential antioxidants: Flavonoids, tannins and lignin precursors may work as ROS-scavenging compounds. Antioxidants act as a cooperative network, employing a series of redox reactions. Interactions between ascorbic acid and glutathione, and ascorbic acid and phenolic compounds are well known . The most efficient enzymatic antioxidants contain glutathione peroxidase, catalase and superoxide dismutase. Non-enzymatic antioxidants include Vitamin E and C, thiol antioxidants (glutathione, thioredoxin and lipoic acid), melatonin, carotenoids, natural flavonoids, and other compounds. Some antioxidants can interact with other antioxidants regenerating their original properties; this mechanism is usually referred to as the “antioxidant network”. There is growing evidence to support a link between increased levels of ROS/RNS and deteriorated activities of enzymatic and nonenzymatic antioxidants in various diseases [74,76]. Glutathione peroxidase: Glutathione metabolism is one of the most important antioxidative defense mechanisms present in the cells [17,75]. Catalase: Very efficiently promotes conversion of hydrogen peroxide to water and molecular oxygen. Its highest activity is present in liver and erythrocytes but some catalase is also found in all tissues . Superoxide dismutase: It is one of the most potent intracellular enzymatic antioxidants. It neutralizes superoxide anions by specifically catalyzing into oxygen molecule and hydrogen peroxide . Vitamin E (Tocopherols): Existing in eight different forms, these compounds are lipid soluble and especially α-tocopherol is the most effective antioxidant of the tocopherols having significant antioxidant properties. The main function of Vitamin E is to protect against lipid peroxidation, and there is also evidence to suggest that α-tocopherol and ascorbic acid function together in a cyclic-type of process . Vitamin C (ascorbic acid): This is a crucial antioxidant which works alone with the antioxidant enzymes or together with its partners Vitamin E and carotenoids in aqueous environments of the body. Vitamin C is a reducing agent and neutralizes hydrogen peroxide . Thiol antioxidants: The major thioldisulphide redox buffer of the cell acting as a multifunctional intracellular antioxidant is the reduced glutathione (GSH). It is abundant in cytosol, nuclei, and mitochondria, and is the major soluble antioxidant in these cell compartments. The protective roles of glutathione against oxidative stress are that it can act as a co-factor for various detoxifying enzymes, contribute to amino acid transport across plasma membrane, directly scavenge hydroxyl radical and singlet oxygen, and converts Vitamins C and E back to their active forms . Pathogenesis of many diseases are found to be associated with a significant decrease in GSH concentration. N-Acetylcysteine (NAC) is also a thiol containing antioxidant which stimulates GSH synthesis and thence leads to antioxidant action . Melatonin (N-acetyl-5-methoxytryptamine) is a chief secretory product of the pineal gland in the brain which is well known for its functional versatility. Melatonin has been documented as a direct free radical scavenger and an indirect antioxidant, as well as an important immunomodulatory agent. Furthermore, melatonin stimulates a number of antioxidative enzymes including superoxide dismutase, glutathione peroxidase, glutathione reductase, and catalase . Carotenoids: They are especially efficient scavengers of singlet oxygen, and can also trap peroxyl radicals. Carotenoids play a role in preventing in vivo lipid peroxidation. Flavonoids: Are scavengers of peroxyl radicals and effective inhibitors of lipid peroxidation. They can also chelate redox-active metals. Dietary supplementation of the body with exogenous antioxidants may be required to provide the redox homeostasis in cells. Since several plant products are rich in antioxidants and micronutrients, it is possible that dietary antioxidant supplementation protects against the oxidative-stress-mediated disease development. Unfortunately, it has been reported that many clinical trials demonstrated the failure of antioxidant therapy in the treatment of pathologies such as cardiovascular diseases, coronary artery disease and neurodegenerative diseases which are associated with oxidative stress [83-85]. Many people take antioxidant supplements in their diet regardless of lack of robust evidence attributed to their effects. They simply believe that antioxidants or other dietary supplements have positive effects against deleterious factors in the body and environment, as well as protecting the tissues and cells from damage and aging [83,86]. The risk-benefit ratio for the intake of dietary antioxidants concurrently with chemotherapy or radiation therapy is still a topic of debate. Many clinical trials were conducted by adding various antioxidants to the traditional treatment regimen. Most frequently used supplementary agents were glutathione, vitamin E and NAC in these trials. It was advised as a result of a systematic review study by Office of Cancer Complementary and Alternative Medicine that “The clinical cancer research community should cooperate and focus new studies on the use of a specific combination of antioxidant and chemotherapy or radiotherapy, and determine optimal doses for a specific cancer setting” . Despite the assumption that antioxidants should exert beneficial effects against oxidative/nitrosative stress, many large-scale randomized controlled trials gave inconsistent and disappointing results on the prevention of chronic diseases . However, it is at least unlikely that antioxidants impair physiologically essential signaling pathways. 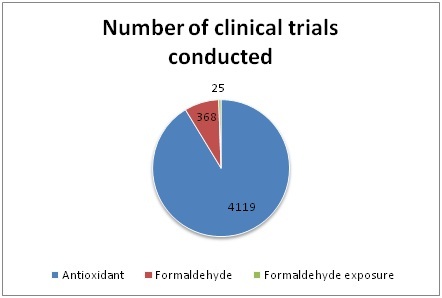 A current search at Clinicaltrials.gov with the keyword “antioxidant” revealed 4119, with the keyword “formaldehyde” revealed 368 and the keyword “formaldehyde exposure” revealed 25 completed, withdrawn or ongoing trials in which antioxidant supplementation in various disorders or formaldehyde is used in some way (Table and Graph 2). These efforts show that there is still so much to do for further investigations on formaldehyde and antioxidants. Nigella Sativa (NS) [recognized as black seed or black cumin] is a well-known immune stimulant that protects against many pathological conditions [87,88]. It also has anti-inflammatory activities proven by the fact that NS extracts inhibited the pro-oxidant nitric oxide production . NS aqueous extract demonstrated powerful antioxidative properties on oxidative hepatic damage induced by carbon tetrachloride, proving its hepato-protective role . Thymoquinone (TQ) is the major active component of Nigella Sativa Linn and has been shown to exhibit anti-tumor activity against breast, lung, prostate, liver, colon and pancreatic cancer . The mode of action of TQ against cancer has been suggested to be through its antioxidative properties and interaction with DNA synthesis. Free radical generation could also be controlled by administration of TQ. Chemosensitising effect of TQ in the treatment of 5-Fluorouracil induced gastric cancer has been reported . In a study by Badary et al., TQ was reported to display powerful antioxidative and protective properties in proteinuria and hyperlipidemia associated with nephrotic syndrome . TQ also exhibits its role in inflammatory pathogenesis through its antioxidant action. NS has been demonstrated to improve total antioxidant status in rats treated with methionine induced HHcy . Presence of phenolic compounds in NS, such as vanillic acid, could also contribute to the antioxidant properties of NS. These compounds may also be responsible for its antimutagenic activities [94,95]. NS has been reported to have the potential to protect against gamma-radiation induced oxidative damage . It was also found that when cisplatin was coadministered with NS, the nephrotoxicity was reduced . Several studies showed that serum IgA levels increased following exposure to various toxic agents [98,99]. IgA is a mucosa-protecting antibody, and Mishra et al.,  found that serum IgA levels were increased in a group of lead-exposed workers compared to those of unexposed healthy controls. Several other studies showed that IgA levels decreased in workers with occupational exposure to benzene or dioxin [100,101]. Terro´n et al.,  showed that IgA levels decreased following the administration of antioxidants. In Zhu et al.’s experimental study, levels of IgA were found to be increased in rats exposed to aluminum . Based on the current findings, we can conclude that IgA levels increase in response to FA exposure and decrease with the addition of antioxidants. In our study, administration of NS oil decreased total serum IgA levels, which was increased following FA exposure. NS ameliorated the immunotoxic effects of low-dose FA, but NS did not compensate for the immunotoxic effects of the high-dose FA exposure . In an experimental study by Vargova´ et al., rats that received FA orally (20, 40, and 80 mg/kg) showed a dose-dependent decrease in serum IgM levels . In our study, the IgM values of the FA groups were elevated compared with those of the control group. We assume that the increase in IgM values in this study may have been an acute response of the immune system to FA exposure. We found that the administration of NS oil decreased the serum total IgM levels, which were elevated in response to FA exposure. The acute immune response (IgM) induced both by the low- and high-dose FA returned to normal levels following the NS treatment . Ayatollahi  found a significant reduction in the IgG levels of humans with occupational exposure to lead. Similarly, we found a significant decline in the IgG levels of the rats exposed to FA compared with those of the control group. This result suggests that FA inhalation substantially suppressed the secondary immune antibody response (IgG). In accordance with our findings, the NS oil did not improve serum IgG levels, which were depressed by FA exposure. We found a significant increase in serum C3 levels of the FA groups compared with the control group. This suggests that there is a pronounced humoral immune response to FA. The return of elevated C3 levels following FA exposure to normal values after administration of the NS oil suggests that cells that produce C3 are not irrevocably damaged by FA (reversible effect) . In another study on rats challenged with typhoid antigen, treatment with NS volatile oil reduced the serum antibody titer compared with the control animals . Likewise, in our study, FA exposure increased serum IgA and IgM levels. These antibodies were decreased in the FA + NS group compared with those of the FA groups. The elevated responses of C3 and acute antibody to FA, which is a foreign antigen for the organism, returned to normal levels following the NS treatment (immunoregulatory effect). However, NS application had no effect on the secondary immune response . Salem et al.,  evaluated in their study the role of Nigella Sativa oil on corneal injury induced by formaldehyde inhalation 2 h/day, 5 days/week for two weeks in rats. In the corneal sections of FA group, disorganisation, erosion, vacuolation and necrosis of epithelial cells were observed. Absence of Bowman’s membrane, invasion of large congested blood vessels as well as separation and disorganisation of stromal fibrils were reported. However, examination of corneal sections in FA+NS group demonstrated intact layers of epithelial cells with normal appearance. Bowman’s membrane was also intact and stroma showed regular parallel collagen laminae. An electron photomicrograph showed quite normal appearance of epithelial cells with slight vacuolation in its cytoplasm . Hence we understand that NS application counteracted the deteriorative effects of FA exposure. Hundreds of investigations performed have demonstrated that NS is beneficial in counteracting oxidative stress. Currently, 15 clinical trials utilizing Nigella Sativa in 69 various clinical conditions are running in 5 different regions all over the world (Table and Graph 3). Administration of NS in FA toxicity studies should also be supported and added to these clinical trials. Melatonin (N-acetyl-5-methoxytryptamine) is released by the pineal gland during the dark phase of the day. It is an endogenous neurohormone and has both hydrophilic and highly lipophilic properties [107,108]. Melatonin has a non-toxic nature, passes easily through biological membranes , blood-brain barrier  and enters sub cellular compartments by which exerts its effects at all levels. Melatonin is an effective scavenger for both the toxic hydroxyl radical and the peroxyl radical at high levels . In many mammals, the epiphyseal gland plays a role in the secretion of melatonin in the circadian rhythm on the hypothalamo-hypophyseal-gonadal axis . Melatonin has a negative effect on testicular functions . These inhibitory effects of melatonin occur primarily through the hypothalamo-hypophyseal axis [114-116]. Melatonin may affect the direct androgen secretion on Leydig cells . Niedziela and Lukaszyk  have shown that melatonin prevents testosterone release induced by forskolin, a cAMP stimulator, in hamster leydig cells. Melatonin is involved in various physiological processes  and additionally has neuroprotective role [120-126] as well as claimed to be effective on the immune system . At the same time, when animals and tissues were exposed to lipid peroxidation, melatonin was shown to be an important protector against the oxidative destruction of lipids by stimulating some antioxidant enzymes . Melatonin has significant capability to scavenge both ROS and RNS, as well as blocking transcriptional factors of pro-inflammatory cytokines and preserving macromolecules including DNA, proteins and lipids, hence demonstrates its protective effects through inhibiting oxidative damage [120-124]. We investigated the protective effects of melatonin against formaldehyde in prefrontal cortex at immunohistochemical and biochemical levels in our study. We reported that melatonin prevented FA-induced neuronal damage in the prefrontal cortex of rats in our study . Formaldehyde has many harmful effects on various tissues of the body including the eye, gonad, skin, respiratory tract and gastrointestinal tract . FA exposure-induced fatigue, headache, indigestion, balance and sleep disorders, mental and memory confusions have been reported. Therefore, FA toxicity affects the central nervous system [130,131]. In addition, behavioral and emotional distress, severe fatigue, thirst and irritability cases have been reported on people working in industrial areas where formaldehyde is regularly used [130,132]. Studies on rats have shown that exposure to FA slows down motor activity . Pitten and colleagues showed that learning capacity is hampered by the FA that they gave to rats via inhalation . In addition, other studies on rats have reported that exposure to FA produces behavioral sensitivity and hesitation [135,136]. We found in our study that rats exposed systemically to FA had a marked decline in food and water consumption, also had lethargy and slow motor activity . Teng et al.,  found that FA caused oxidative damage even at low concentrations in experimental studies on isolated rat hepatocytes. It was also found that FA causes significantly reduced SOD and GSH-Px activities in the prefrontal cortex of rats in our study, indicating that FA caused oxidative damage by disrupting the antioxidant defense mechanism of the prefrontal cortex . MDA parameters are very important in determining lipid peroxidation and are widely used to determine oxidative damage . MDA levels were determined to be significantly higher in the experimental group than in the control group in our previous study. According to this result, we have concluded that FA causes lipid peroxidation of the prefrontal cortex and hence oxidative damage . Following administration of FA in rats, similar data have been reported by Teng et al., . Genetically programmed cell death is termed apoptosis. If the cell is damaged or completes the function, it will disappear safely [138,139]. Mitochondria have important roles in apoptosis. The death signals cause an increase in the permeability of the outer mitochondrial membrane, which caused by apoptosis. Some proteins regulate permeability in the outer membranes of mitochondria. The proteins of the Bcl-2 family are the most important among them. Some of these proteins are pro-apoptotic, while others are anti-apoptotic. These include Bax; which is a pro-apoptotic protein that causes cytochrome C release into cytoplasm from the mitochondrial membrane. Subsequently, cytochrome C initiates apoptotic processing by activating caspase in the cytoplasm. However, Bcl-2 inhibits the release of cytochrome C by inhibiting the addition of Bax to an anti-apoptotic protein. Immunohistochemical Bax staining in the cytoplasm of cells suggests apoptosis [140,141]. Our research showed that FA caused apoptosis in the prefrontal cortex . Similarly, it has been reported in previous studies that FA causes DNA damage and thus leads to apoptosis [142,143]. Numerous investigators who are interested in this topic have studied the antioxidant effects of melatonin in their studies on the nervous system and have finally stated that melatonin has pronounced neuroprotective effect [120-126,144] and stimulation of the immune system . Skaper and co-workers have reported that melatonin prevents aging-related neuronal damage . We reported that melatonin treatment prevented formaldehyde-induced neuronal damage in the prefrontal cortex of rats in our study . Our study demonstrated that FA caused apoptosis in the prefrontal cortex . When Clinicaltrials.gov is searched with a keyword “melatonin or circadin”, it can be seen that 460 clinical studies in 501 various conditions are currently conducted in 12 different regions all over the world. Among these, 172 studies are running in the US and 127 in European countries (Table and Graph 4). Of these ongoing studies, we can readily presume and hypothesize that humans are awaiting many good news in the upcoming years from melatonin-related supplements. We mainly reviewed the harmful and toxic effects of formaldehyde on human health and antioxidant effects of some agents as melatonin and Nigella Sativa counteracting against FA. Formaldehyde is a critical compound for the formation of proteins, Deoxyribonucleic Acid (DNA) and Ribonucleic Acid (RNA). It is present in all organic forms of life, plants, animals and human. FA is mainly in gaseous form and subject to oxidation. It is inevitable to have FA in indoor air and especially in workplaces. In addition, FA has a wide range of utilization fields in the medical sector. The International Agency for Research on Cancer (IARC) concluded that FA had sufficient epidemiological evidence that it caused at least nasopharyngeal cancer in humans. Today, a large number of research on the role of antioxidant substances in preventing undesired effects of FA is being conducted. Still many questions persist and new ones arise. Does melatonin hormone play critical roles opposite to the effects of FA? Can the oil from NS seed eliminate the harmful effects of FA? If so, how often shall we use them? We observed a significant reduction in food and water consumption and numbness in rats which were systematically exposed to FA. At the same time, significant reduction in motor activity was found. In the prefrontal cortex of rats, Superoxide Dismutase (SOD) and Glutathione Peroxidase (GPx) activities were significantly reduced, and these findings demonstrated that FA disrupted the antioxidant defense mechanism and caused oxidative damage. All these findings indicate that the central nervous system is also affected by FA. In our experimental group, Malondialdehyde (MDA) levels were significantly higher than the control group. According to this result, we suggest that FA causes lipid peroxidation of the prefrontal cortex and hence oxidative damage. Our research showed that FA caused apoptosis in the prefrontal cortex. Furthermore, Melatonin treatment prevented formaldehyde-induced neuronal damage in the prefrontal cortex of rats. Thymoquinone, the main active element of NS, shows anti-tumor activity against breast, lung, prostate, liver, colon and pancreatic cancers. Serum IgA and IgM levels increased when rats were exposed to FA inhalation. However, we observed that high serum total IgM levels returned to normal following exposure to FA in combination with NS oil administration. In conclusion, considering the inevitable utilization of FA in industry and all over in our life, antioxidant elements, such as M and NS, might also be used as a supplementation to eliminate or at least to lessen the toxic and harmful effects of FA. For this goal, standardized clinical researches should be encouraged to ascertain effects of these antioxidants before encouraging their regular use in humans. Moreover, formulation, dosage, route of application of Melatonin and Nigella Sativa in combatting against certain disorders or maintaining healthy status should be determined in future studies. Liteplo RG, Beauchamp R, Meek ME, Chénier R (2002) Concise International Chemical Assessment Document 40: Formaldehyde. World Health Organization, Geneva, Switzerland. IARC (2006) IARC Monographs on the Evaluation of Carcinogenic Risks to Humans: Volume 88 Formaldehyde, 2-Butoxyethanol and 1-tert-Butoxypropan-2-ol. International Agency for Research on Cancer, Lyon, France. OSHA® FactSheet (2011) Formaldehyde. Occupational Safety and Health Administration, Washington, D.C., USA. NIH-National Institute of Environmental Health Sciences: Environmental Health Topics. NIH, North Carolina, USA. Kaden DA, Mandin C, Nielsen GD, Wolkoff P (2010) Formaldehyde: In WHO Guidelines for Indoor Air Quality: Selected Pollutants. WHO Regional Office for Europe, Copenhagen, Denmark. Pg no: 103-142. Songur A, Sarsilmaz M, Ozen OA, Sahin S, Koken R, et al. (2008) The effects of inhaled formaldehyde on oxidant/antioxidant systems of rat’s cerebellum during postnatal development process. Toxicol Mech Methods 18: 569-574. Kelly TJ, Smith DL, Satola J (1999) Emission rates of formaldehyde from materials and consumer products found in California homes. Environmental Science & Technology 33: 81-88. Salthammer T, Mentese S, Marutzky R (2010) Formaldehyde in the indoor environment. Chem Rev 110: 2536-2572. Upreti RK, Farooqui MY, Ahmed AE, Ansari GA (1987) Toxicokinetics and molecular interaction of [14C]-formaldehyde in rats. Arch Environ Contam Toxicol 16: 263-273. National Toxicology Program (2011) Formaldehyde. National Institute of Environmental Health Sciences, North Carolina, USA. Neuberger A (1981) The metabolism of glycine and serine. In: Neuberger A, van Deenen LLM (eds.). Comprehensive biochemistry. Elsevier, Amsterdam, Netherlands. Pg no: 257-303. McMartin KE, Martin-Amat G, Noker PE, Tephly TR (1979) Lack of a role for formaldehyde in methanol poisoning in the monkey. Biochem Pharmacol 28: 645-649. Kini MM, Cooper JR (1962) Biochemistry of methanol poisoning. 4. The effect of methanol and its metabolites on retinal metabolism*. Biochem J 82: 164-172. Gurel A, Coskun O, Armutcu F, Kanter M, Ozen OA (2005) Vitamin E against oxidative damage caused by formaldehyde in frontal cortex and hippocampus: Biochemical and histological studies. J Chem Neuroanat 29: 173-178. Solomons K, Cochrane JW (1984) Formaldehyde toxicity. Part II. Review of acute and chronic effects on health. S Afr Med J 66: 103-106. National Toxicology Program (2016) Report On Carcinogens Fourteenth Edition. National Toxicology Program, North Carolina, USA. Kurutas EB (2016) The importance of antioxidants which play the role in cellular response against oxidative/nitrosative stress: Current state. Nutr J 15: 71. Cheng G, Shi Y, Sturla SJ, Jalas JR, McIntee EJ, et al. (2003) Reactions of formaldehyde plus acetaldehyde with deoxyguanosine and DNA: Formation of cyclic deoxyguanosine adducts and formaldehyde cross-links. Chem Res Toxicol 16: 145-152. Metz B, Kersten GF, Hoogerhout P, Brugghe HF, Timmermans HA, et al. (2004) Identification of formaldehyde induced modifications in proteins: Reactions with model peptides. J Biol Chem 279: 6235-6243. Smith AE (1992) Formaldehyde. Occup Med 42: 83-88. Franklin P, Dingle P, Stick S (2000) Raised exhaled nitric oxide in healthy children is associated with domestic formaldehyde levels. Am J Respir Crit Care Med 161: 1757-1759. Aslan H, Songur A, Tunc AT, Ozen OA, Bas O, et al. (2006) Effects of formaldehyde exposure on granule cell number and volume of dentate gyrus: A histopathological and stereological study. Brain Res 1122: 191-200. Axelsen L (2015) Outlook for Formaldehyde and impact on methanol demand. 33rd Annual IHS Chemical World Methanol Conference, 11-12th November 2015, Munich, Germany. Formaldehyde in Chemical Economics Handbook. November 2017, HIS Markit, London, UK. Goldman LR, Gomez L, Greenfield S, Hall L, Hulka B, et al. (1992) Use of exposure databases for status and trend analysis. Arch Environ Health 47: 430-438. LaMontagne AD, Herrick RF, Van Dyke MV, Martyny JW, Ruttenber AJ (2002) Exposure databases and exposure surveillance: Promise and practice. AIHA J (Fairfax, Va) 63: 205-212. Cohen BI, Pagnillo MK, Musikant BL, Deutsch AS (1998) Formaldehyde evaluation from endodontic materials. Oral Health 88: 37-39. Sarnak MJ, Long J, King AJ (1999) Intravesicular formaldehyde instillation and renal complications. Clin Nephrol 51: 122-125. European Commission (2005) Human exposure characterisation of chemical substances, quantification of exposure routes. Physical and Chemical Exposure Unit, Joint Research Centre, Ispra, Italy, Pg. no: 1-126. CDC (2008) Final report on formaldehyde levels in FEMA-supplied travel trailers, park models and mobile homes. Centers for Disease Control and Prevention, Georgia, USA. IFA (2005) Innenraumarbeitsplatze-Vorgehensempfehlung für die Ermittlungen zum Arbeitsumfeld (2005), Institut für Arbeitsschutz, Sankt Augustin, Germany. Salonen H, Pasanen AL, Lappalainen S, Riuttala H, Tuomi T, et al. (2009) Volatile organic compounds and formaldehyde as explaining factors for sensory irritation in office environments. J Occup Environ Hyg 6: 239-247. 34.	WHO (2010) Building Assessment Survey and Evaluation (BASE) Study (2010) Volatile organic compounds master list. World Health Organization, Geneva, Switzerland. Hui PS, Mui KW, Wong LT (2008) Influence of indoor air quality (IAQ) objectives on air-conditioned offices in Hong Kong. Environ Monit Assess 144: 315-322. Annesi-Maesano I et al. (2001) Measurements of air pollutants in elementary schools in the six cities of metropolitan France in the framework of the ISAAC study. In: Proceedings of the 12th World Clean Air & Environment Congress and Exhibition. Kotzias D, Geiss O, Tirendi S, Josefa BM, Reina V, et al. (2009) Exposure to multiple air contaminants in public buildings, schools and kindergartens: The European indoor air monitoring and exposure assessment (airmex) study. Fresenius Environmental Bulletin 18: 670-681. Fishbein L (1992) Exposure from occupational versus other sources. Scan J Work Environ Health 18: 5-16. Basrur SV (2002) Ten Key Carcinogens in Toronto Workplaces and Environment: Assessing the Potential for Exposure. Health Promotion & Environmental Protection Office, Ontario, Canada. Mansfield CT, Hodge BT, Hege RB Jr, Hamlin WC (1977) Analysis of formaldehyde in tobacco smoke by high performance liquid chromatography. J Chromatogr Sci 15: 301-302. Triebig G, Zober MA (1984) Indoor air pollution by smoke constituents-a survey. Prev Med 13: 570-581. Marchand C, Bulliot B, Le Calve S, Mirabel PH (2006) Aldehyde measurements in indoor environment in Strasbourg (France). Atmospheric Environment 40: 1336-1345. National Academy of Sciences Engineering Medicine	(2014) Review of the Formaldehyde Assessment in the National Toxicology Program 12th Report on Carcinogens. Washington, D.C., USA, Pg. no: 1-246. California Environmental Protection Agency (2005) Indoor Air Pollution in California. Air Resources Board, California, USA, Pg. no: 65-70. Formaldehyde Reference Exposure Levels DRAFT (Methanal, oxomethane, methylene oxide) (2008). Residential Indoor Air Quality Guideline (2006) Formaldehyde. Health Canada, Canada. McGwin G, Lienert J, Kennedy JI (2010) Formaldehyde Exposure and Asthma in Children: A Systematic Review. Environ Health Perspect 118: 313-317. Stewart PA, Cubit D, Blair A (1987) Formaldehyde Levels in Seven Industries. Applied Industrial Hygiene 2: 231-236. Stewart PA, Herrick RF, Feigley CE, Utterback DF, Hornung R, et al. (1992) Study Design for Assessing Exposures of Embalmers for a Case-Control Study. Part I. Monitoring Results. Applied Occupational and Environmental Hygiene 7: 532-540. EPA (1981) Technical Document: Formaldehyde. Office of Toxic Substances. Environmental Protection Agency, Washington, D.C, USA. Moseley CL, Singal M, Murphy L. (1979) HHE Determination, Report No. HHE-78-116-557, Commonwealth Trading Company, Stoughton, Massachusetts. Washington DC: National Institute for Occupational Safety and Health. WHO (2000) Air Quality Guidelines for Europe, 2nd edn. UNEP, Nairobi, Kenya. Lavoue J, Vincent R, Gerin M (2008) Formaldehyde exposure in U.S. industries from OSHA air sampling data. J Occup Environ Hyg 5: 575-587. 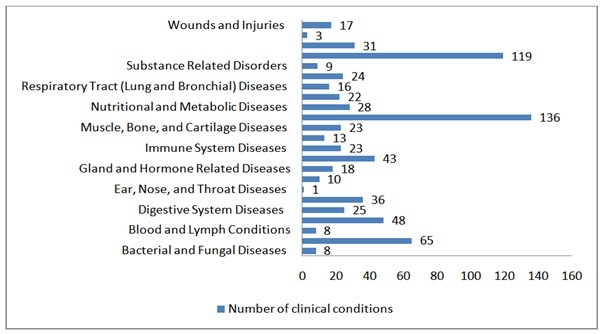 USDL (2009) Occupational Exposure to Formaldehyde. OSHA Fact Sheet no. 92-27. U.S. Department of Labor. Noisel N, Bouchard M, Carrier G (2007) Evaluation of the health impact of lowering the formaldehyde occupational exposure limit for Quebec workers. Regul Toxicol Pharmacol 48: 118-127. Appel KE, Bernauer U, Herbst U, Madle S, Schulte A, et al. (2006) Kann für Formaldehyd eine "sichere" Konzentration abgeleitet werden? - Analyse der Daten zur krebserzeugenden Wirkung. Umweltmedizin in Forschung und Praxis, 11: 347-361. Paustenbach D, Alarie Y, Kulle T, Schachter N, Smith R, et al. (1997) A recommended occupational exposure limit for formaldehyde based on irritation. J Toxicol Environ Health 50: 217-263. Lang I, Bruckner T, Triebig G (2008) Formaldehyde and chemosensory irritation in humans: A controlled human exposure study. Regul Toxicol Pharmacol 50: 23-36. Hauptmann M, Lubin JH, Stewart PA, Hayes RB, Blair A (2003) Mortality from lymphohematopoietic malignancies among workers in formaldehyde industries. J Natl Cancer Inst 95: 1615-1623. Hauptmann M, Lubin JH, Stewart PA, Hayes RB, Blair A (2004) Mortality from solid cancers among workers in formaldehyde industries. Am J Epidemiol 159: 1117-1130. Beane Freeman LE, Blair A, Lubin JH, Stewart PA, Hayes RB, et al. (2009) Mortality from lymphohematopoietic malignancies among workers in formaldehyde industries: The National Cancer Institute Cohort. J Natl Cancer Inst 101: 751-761. Hauptmann M, Stewart PA, Lubin JH, Beane Freeman LE, Hornung RW, et al. (2009) Mortality from lymphohematopoietic malignancies and brain cancer among embalmers exposed to formaldehyde. J Natl Cancer Inst 101: 1696-1708. Pinkerton LE, Hein MJ, Stayner LT (2004) Mortality among a cohort of garment workers exposed to formaldehyde: An update. Occup Environ Med 61: 193-200. Coggon D, Harris EC, Poole J, Palmer KT (2003) Extended follow-up of a cohort of British chemical workers exposed to formaldehyde. J Natl Cancer Inst 95: 1608-1615. McGregor D, Bolt H, Cogliano V, Richter-Reichhelm HB (2006) Formaldehyde and glutaraldehyde and nasal cytotoxicity: Case study within the context of the 2006 IPCS human framework for analysis of a cancer mode of action for humans. Crit Rev Toxicol 36: 821-835. Tang XQ, Ren YK, Chen RQ, Zhuang YY, Fang HR, et al. (2011) Formaldehyde induces neurotoxicity to PC12 cells involving inhibition of paraoxonase-1 expression and activity. Clin Exp Pharmacol Physiol 38: 208-214. Morgan KT (1997) A brief review of formaldehyde carcinogenesis in relation to rat nasal pathology and human health risk assessment. Toxicol Pathol 25: 291-307. Jester JV, Li L, Molai A, Maurer JK (2001) Extent of initial corneal injury as a basis for alternative eye irritation tests. Toxicol in vitro 15: 115-130. Salem NA, Mahmoud OM, Al Badawi MH, Gab-Alla AA (2016) Role of Nigella Sativa seed oil on corneal injury induced by formaldehyde in adult male albino rats. Folia Morphol (Warsz). 75: 518-526. Bas O, Songur A, Sahin O, Mollaoglu H, Ozen OA, et al. (2007) The protective effect of fish n-3 fatty acids on cerebral ischemia in rat hippocampus. Neurochem Int 50: 548-554. Sarsilmaz M, Songur A, Ozyurt H, Kus I, Ozen OA, et al. (2003) Potential role of dietary omega-3 essential fatty acids on some oxidant/antioxidant parameters in rats’ corpus striatum. Prostaglandins Leukot Essent Fatty Acids 69: 253-259. NTP 12th Report on Carcinogens (2011) National Toxicology Program. Rep Carcinog. 12: iii-499. Valko M, Leibfritz D, Moncol J, Cronin MT, Mazur M, et al. (2007) Free radicals and antioxidants in normal physiological functions and human disease. Int J Biochem Cell Biol 39: 44-84. Blokhina O, Virolainen E, Fagerstedt KV (2003) Antioxidants, Oxidative Damage and Oxygen Deprivation Stress: A Review. Ann Bot 91: 179-194. Sies H (2015) Oxidative stress: A concept in redox biology and medicine. Redox Biol 4: 180-183. Singh U, Devaraj S, Jialal I (2005) Vitamin E, oxidative stress, and inflammation. Ann Rev Nutr. 25: 151-174. Kojo S (2004) Vitamin C: Basic metabolism and its function as an index of oxidative stress. Curr Med Chem 11: 1041-1064. Birk J, Meyer M, Aller I, Hansen HG, Odermatt A, et al. (2013) Endoplasmic reticulum: Reduced and oxidized glutathione revisited. J Cell Sci 126: 1604-1617. Cetinkaya A, Bulbuloglu E, Kurutas EB, Ciralik H, Kantarceken B, et al. (2005) Beneficial effects of N-acetylcysteine on acetic acid-induced colitis in rats. Tohoku J Exp Med 206: 131-139. Longoni B, Salgo MG, Pryor WA, Marchiafava PL (1998) Effects of melatonin on lipid peroxidation induced by oxygen radicals. Life Sci 62: 853-859. Vivekananthan DP, Penn MS, Sapp SK, Hsu A, Topol EJ (2003) Use of antioxidant vitamins for the prevention of cardiovascular disease: Meta-analysis of randomized trials. Lancet 361: 2017-2023. Altun I, Kurutas EB (2015) G protein-coupled estrogen receptor levels after peripheral nerve injury in an experimental rat model. World Neurosurg 84: 1903-1906. Kurutas EB, Senoglu M, Yuksel KZ, Unsal V, Altun I (2015) Oxidative/Nitrosative Stress in Patients with modic changes: Preliminary controlled study. Spine (Phila Pa 1976) 40: 1101-1107. Nakayama A, Alladin KP, Igbokwe O, White JD (2011) Systematic review: Generating evidence-based guidelines on the concurrent use of dietary antioxidants and chemotherapy or radiotherapy. Cancer Invest 29: 655-667. Corder C, Benghuzzi H, Tucci M, Cason Z (2003) Delayed apoptosis upon the treatment of Hep-2 cells with black seed. Biomed Sci Instrum. 39: 365-370. Fararh KM, Atoji Y, Shimizu Y, Shiina T, Nikami H, et al. (2004) Mechanisms of the hypoglycaemic and immunopotentiating effects of Nigella Sativa L. oil in streptozotocin-induced diabetic hamsters. Res Vet Sci 77: 123-129. Mahmood MS, Gilani AH, Khwaja A, Rashid A, Ashfaq MK (2003) The in vitro effect of aqueous extract of Nigella Sativa seeds on nitric oxide production. Phytother Res 17: 921-924. Al-Ghamdi MS (2003) Protective effect of Nigella Sativa seeds against carbon tetrachloride-induced liver damage. Am J Chin Med 31: 721-728. Lei X, Lv X, Liu M, Yang Z, Ji M, et al. (2012) Thymoquinone inhibits growth and augments 5-fluorouracil-induced apoptosis in gastric cancer cells both in vitro and in vivo. Biochem Biophys Res Commun 417: 864-868. Badary OA, Abdel-Naim AB, Abdel-Wahab MH, Hamada FM (2000) The influence of thymoquinone on doxorubicin-induced hyperlipidemic nephropathy in rats. Toxicology 143: 219-226. El-Saleh SC, Al-Sagair OA, Al-Khalaf MI (2004) Thymoquinone and Nigella Sativa oil protection against methionine-induced hyperhomocysteinemia in rats. Int J Cardiol 93: 19-23. Bourgou S, Ksouri R, Bellila A, Skandrani I, Falleh H, et al. (2008) Phenolic composition and biological activities of Tunisian Nigella Sativa L. shoots and roots. C R Biol 331: 48-55. Khader M, Bresgen N, Eckl PM (2010) Antimutagenic effects of ethanolic extracts from selected Palestinian medicinal plants. J Ethnopharmacol 27: 319-324. Rastogi L, Feroz S, Pandey BN, Jagtap A, Mishra KP (2010) Protection against radiation-induced oxidative damage by an ethanolic extract of Nigella Sativa L. Int J Radiat Biol 86: 719-731. Ulu R, Dogukan A, Tuzcu M, Gencoglu H, Ulas M, et al. (2012) Regulation of renal organic anion and cation transporters by thymoquinone in cisplatin induced kidney injury. Food Chem Toxicol 50: 1675-1679. Mishra KP, Chauhan UK, Naik S (2006) Effect of lead exposure on serum immunoglobulins and reactive nitrogen and oxygen intermediate. Hum Exp Toxicol 25: 661-665. Zhu Y, Xu J, Sun H, Hu C, Zhao H, et al. (2011) Effects of aluminum exposure on the allergic responses and humoral immune function in rats. Biometals 24: 973-977. Bogadi-Sare A, Zavalic M, Trosić I, Turk R, Kontosić I, et al. (2000) Study of some immunological parameters in workers occupationally exposed to benzene. Int Arch Occup Environ Health. 73: 397-400. Oh E, Lee E, Im H, Kang HS, Jung WW, et al. (2005) Evaluation of immuno- and reproductive toxicities and association between immunotoxicological and genotoxicological parameters in waste incineration workers. Toxicology 210: 65-80. Terrón MP, Delgado J, Paredes SD, Barriga C, Reiter RJ, et al. (2009) Effect of melatonin and tryptophan on humoral immunity in young and old ringdoves (Streptopelia risoria). Exp Gerontol 44: 653-658. Sapmaz HI, Sarsilmaz M, Gödekmerdan A, Ögetürk M, Taş U, et al. (2016) Effects of formaldehyde inhalation on humoral immunity and protective effect of Nigella Sativa oil: An experimental study. Toxicol Ind Health. 32: 1564-1569. Vargová M, Wagnerová J, Lísková A, Jakubovský J, Gajdová M, et al. (1993) Subacute immunotoxicity study of formaldehyde in male rats. Drug Chem Toxicol 16: 255-275. Ayatollahi M. (2002) Study of the impact of blood lead level on humoral immunity in humans. Toxicol Ind Health. 18: 39-44. Islam SN, Begum P, Ahsan T, Huque S, Ahsan M (2004) Immunosuppressive and cytotoxic properties of Nigella sativa. Phytother Res 18: 395-398. Costa EJX, Lopez RH, Lamy-Freund MT (1995) Permeability of pure lipid bilayers to melatonin. J Pineal R 19: 123-126. Shida CS, Castrucci AML, Lamy-Freund MT (1994) High melatonin solubility in aqueous medium. J Pineal Res 16: 198-201. Okatani Y, Okamoto K, Hayashi K, Wakatsuki A, Tamura S, et al. (1998) Maternal-fetal transfer of melatonin in pregnant women near term. J Pineal Res 25: 129-134. Menendez-Pelaez A, Poeggeler B, Reiter RJ, Barlow-Walden L, Pablos MI, et al. (1993) Nuclear localization of melatonin in different mammalian tissues: Immunocytochemical and radioimmunoassay evidence. J Cell Biochem 53: 373-382. Reiter RJ (1995) The role of the neurohormone melatonin as a buffer against macromolecular oxidative damage. Neurochem Int 27: 453-460. Arendt J (1995) Melatonin and the mammalian pineal gland. Chapman and Hall, London, UK. Cagnacci A (1996) Melatonin in relation to physiology in adult humans. J Pineal Res 21: 200-213. Rivest RW, Jaconi ME, Gruaz N, Sizonenko PC, Aubert ML (1987) Short-term and long-term effects of melatonin on GnRH-stimulated gonadotropin secretion in pituitaries of sexually maturing rats. Neuroendocrinology 46: 379-386. Hattori AC, Herbert DC, Vaughan MK, Yaga K, Reiter RJ (1995) Melatonin inhibits Luteinising Hormone Releasing Hormone (LHRH) induction of LH release from fetal rat pituitary cells. Neurosci Lett 184: 109-112. Vanecek J (1998) Melatonin inhibited release of Luteinizing Hormone (LH) via decrease of [Ca2+]i and cyclic AMP. Physiol Res 47: 329-335. Valenti S, Guido R, Giusti M, Giordano G (1995) in vitro acute and prolonged effects of melatonin on purified rat Leydig cell steriodogenesis and adenosine 3',5'-monophosphate production. Endocrin 136: 5357-5362. Niedziela M, Lukaszyk A (1993) Melatonin inhibits forskolin stimulated testosterone secretion by hamster Leydig cells in primary culture. In: Touitou J, Arendt J, and Pevet P (eds) Melatonin and the pineal gland: From basic science to clinical application. Elsevier, Amsterdam. Pg no: 285-288. Forsling ML, Stoughton RP, Zhou Y, Kelestimur H, Demaine C (1993) The role of the pineal in the control of the daily patterns of neurohypophysial hormone secretion. J Pineal Res 14: 45-51. Reiter RJ, Carneiro RC, Oh CS (1997) Melatonin in relation to cellular antioxidative defense mechanisms. Horm Metab Res 29: 363-372. Skaper SD, Floreani M, Ceccon M, Facci L, Giusti P (1999) Excitotoxicity, oxidative stress and the neuroprotective potential of melatonin. Ann N Y Acad Sci 890: 107-118. Kabuto H, Yokoi I, Ogawa N (1998) Melatonin inhibits iron-induced epileptic discharges in rats by suppressing peroxidation. Epilepsia 39: 237-243. Mason RP, Leeds PR, Jacob RF, Hough CJ, Zhang KG, et al. (1999) Inhibition of excessive neuronal apoptosis by the calcium antagonist amlodipine and antioxidant in cerebellar granule cells. J Neurochem 72: 1448-1456. Cabrera J, Reiter RJ, Tan D-X, Qi W, Sainz RM, et al. (2000) Melatonin reduces oxidative neurotoxicity due to quinolinic acid: in vitro and in vivo findings. Neuropharmacology 39: 507-514. Aguiar LM, Macedo DS, de Freitas RM, de Albuquerque OA, Vasconcelos SM, et al. (2005) Protective effects of N-acetylserotonin against 6-hydroxydopamine-induced neurotoxicity. Life Sci 76: 2193-2202. Feng Z, Zhang JT (2004) Protective effect of melatonin on betaamyloid-induced apoptosis in rat astroglioma C6 cells and its mechanism. Free Radic Biol Med 37: 1790-1801. Guerrero JM, Reiter RJ (1992) A brief survey of pineal gland-immune system interrelationships. Endocr Res 18: 91-113. Zararsiz I, Kus I, Ogeturk M, Akpolat N, Kose E, et al. (2007) Melatonin prevents formaldehyde-induced neurotoxicity in prefrontal cortex of rats: An immunohistochemical and biochemical study. Cell Biochem Funct 25: 413-418. Nilsson JA, Zheng X, Sundqvist K, Liu Y, Atrozi L, et al. (1998) Toxicity of formaldehyde to human oral fibroblast and epithelial cells: Influences of culture conditions and role of thiol status. J Dent Res 77: 1896-1903. Kilburn KH, Warshaw R, Thornton JC (1987) Formaldehyde impairs memory, equilibrium, and dexterity in histology technicians: Effects which persist for days after exposure. Arch Environ Health 42: 117-120. Kuo H, Jian G, Chen C, Liu C, Lai J (1997) White blood cell count as an indicator of formaldehyde exposure. Bull Environ Contam Toxicol 59: 261-267. Kilburn KH (1994) Neurobehavioral impairment and seizures from formaldehyde. Arch Environ Health 49: 37-44. Boja JW, Nilsen JA, Foldvary E, Truitt EB (1985) Acute low-level formaldehyde behavioral and neurochemical toxicity in the rat. Prog Neuropsycopharmachol Biol Psychiatry 9: 671-674. Pitten FA, Kramer A, Hermann K, Bremer J, Koch S (2000) Formaldehyde neurotoxicity in animal experiments. Pathol Res Pract 196: 193-198. Sorg BA, Hochstatter T (1999) Behavioral sensitization after repeated formaldehyde exposure in rats. Toxicol Ind Health 15: 346-355. Teng S, Beard K, Pourahmad J, Moridani M, Easson E, et al. (2001) The formaldehyde metabolic detoxification enzyme systems and molecular cytotoxic mechanism in isolated rat hepatocytes. Chem Biol Interact 130-132: 285-296. Pompella A (1997) Biochemistry and histochemistry of oxidant stress and lipid peroxidation. Int J Vitam Nutr Res 67: 289-297. Walker NI, Harmon BV, Gobe GC, Kerr JF (1988) Pattern of cell death. Methods Achiev Exp Pathol 13: 18-54. Debatin KM (2004) Apoptosis pathways in cancer and cancer therapy. Cancer Immunol Immunother 53: 153-159. Nagata S (1997) Apoptosis by death factor. Cell 88: 355-365. Lu J, Moochhala S, Kaur C, Ling E (2000) Changes in apoptosis related protein (p53, Bax, Bcl-2 and Fos) expression with DNA fragmentation in the central nervous system in rats after closed head injury. Neurosci Lett 290: 89-92. Kanemura H, Aihara M, Aoki S, Araki T, Nakazawa S (2003) Development of the prefrontal lobe in infants and children: A three-dimensional magnetic resonance volumetric study. Brain Dev 25: 195-199. Yager JW, Cohn KL, Spear RC, Fisher JM, Morse L (1986) Sisterchromatid exchanges in lymphocytes of anatomy students exposed to formaldehyde-embalming solution. Mutat Res 174: 135-139. Tan DX, Manchester LC, Reiter RJ, Qi W, Kim SJ, et al. (1998) Melatonin protects hippocampal neurons in vivo against kainic acid-induced damage in mice. J Neurosci Res 54: 382-389. 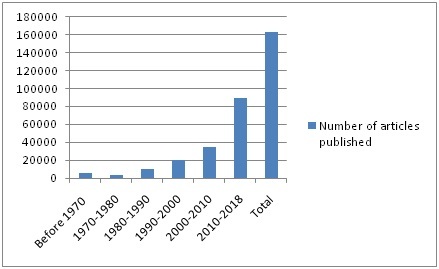 Graph 1: Number of articles published on formaldehyde according to a current search in Pubmed Central. 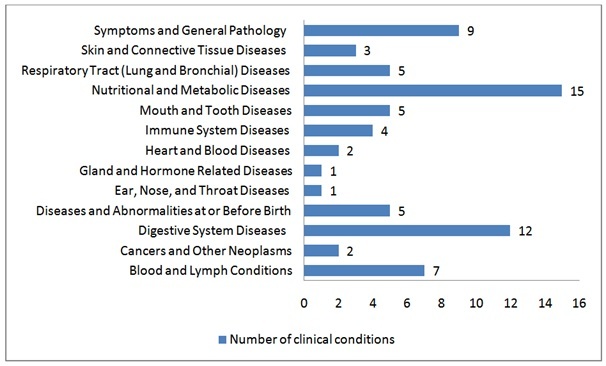 Graph 2: Number of clinical trials conducted with related search terms according to a current search in Clinicaltrials.gov. Graph 3: Clinical trials conducted utilizing Nigella Sativa according to conditions by category. Graph 4: Clinical trials conducted utilizing Melatonin according to conditions by category. Table 1: Number of articles published on formaldehyde according to a current search in Pubmed Central. Table 2: Number of clinical trials conducted with related search terms according to a current search in Clinicaltrials.gov. Table 3: Clinical trials conducted utilizing Nigella Sativa according to conditions by category Clinicaltrials.gov. Table 4: Clinical trials conducted utilizing Melatonin according to conditions by category. Citation: Sarsılmaz M (2018) Detrimental Effects of Formaldehyde on Health and Counteracting Beneficial Effects of Melatonin and Nigella sativa. Trends Anat Physiol 1: 006. Copyright: © 2018 Sarsılmaz M. This is an open-access article distributed under the terms of the Creative Commons Attribution License, which permits unrestricted use, distribution, and reproduction in any medium, provided the original author and source are credited.